Here at Bradt's Menagerie, we love our animals, and we hope you will, too! Enjoy a sneak peak with a few pictures. If you've never fed a llama, you need to take the opportunity on your visit. They eat with their lips, creating a tickling sensation as they take the feed from your hand.You'll find our camelids all hanging out in the same vicinity. The alpacas and llamas are in the same pen with Dylan the camel right beside them. You can tell the alpacas and llamas apart by their size. The alpacas are shorter than the llamas. Because they have teeth that stick out, they may graze your hand as their lips take the feed, but they are probably the most fun to feed, so don't pass them by! 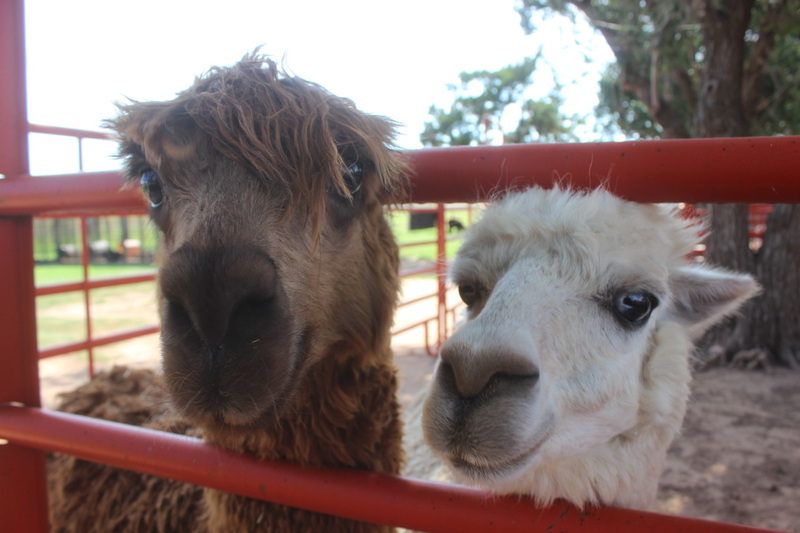 You'll also want to feel how soft the alpacas' fleece is. Pictured here are Ande and Pearl. You'll see Igor in the line up of bovines or over with the riders. 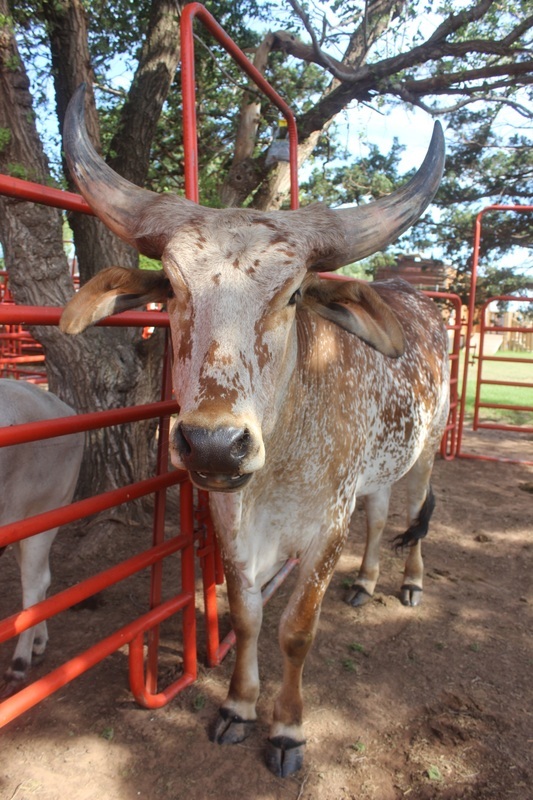 He is an Indu-Brazilian/Watusi cross. 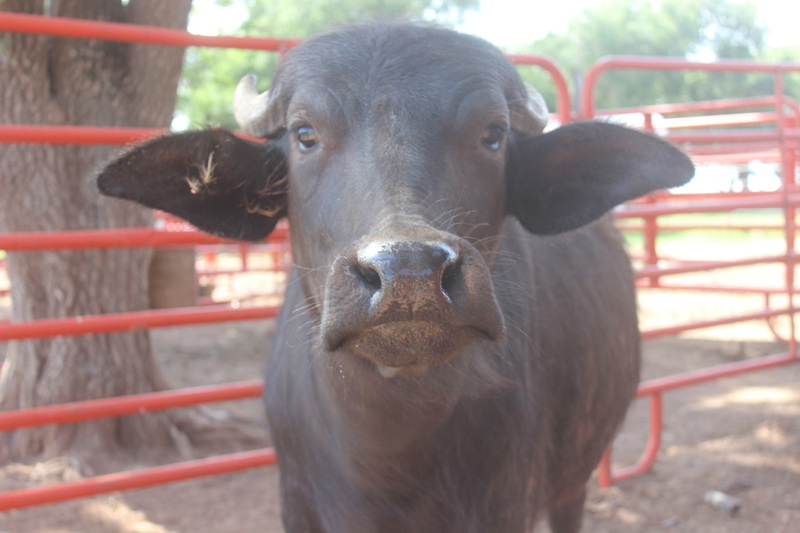 While he won't take much feed from your hand, he loves to be scratched between his horns and his ears. 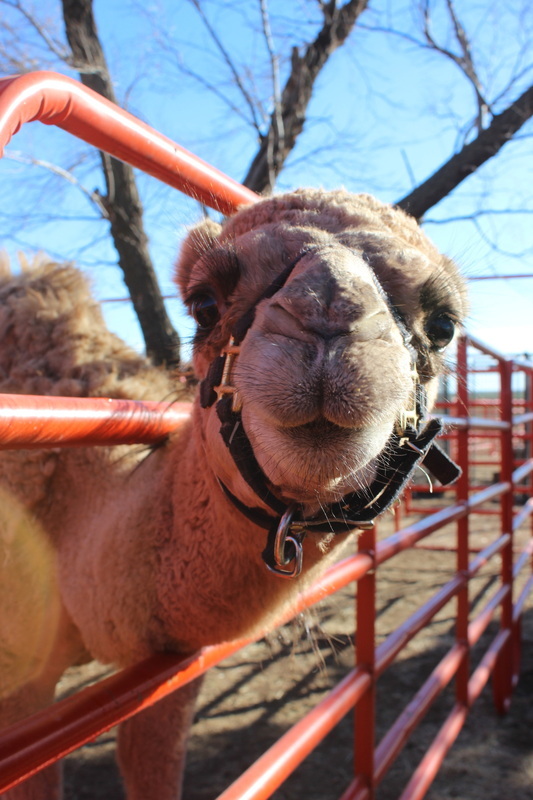 Dylan, our dromedary camel, is ornery! He loves to eat the feed, but he never gets enough, so don't turn your back on him, or he'll sneak into your pocket, hand, purse, or even hair to try to find more. Instead, back away before you move on! He's very friendly with a great personality! 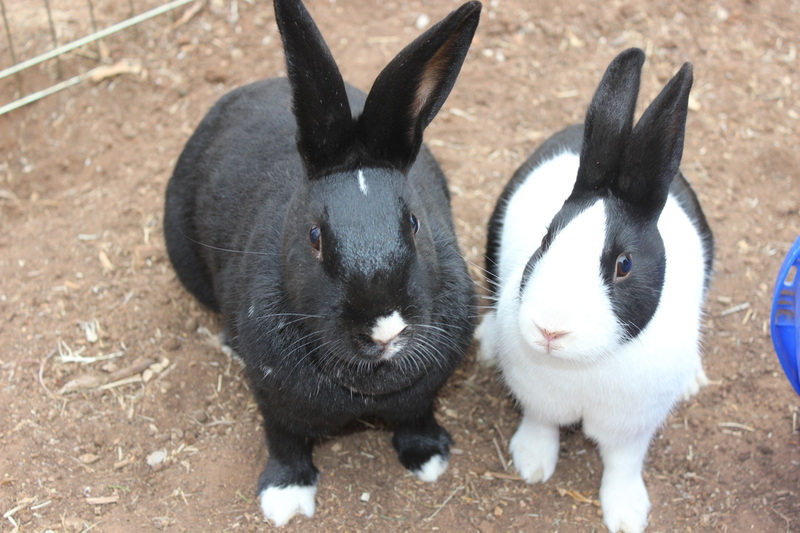 Milli and Vanilli were our first rabbits. You can hop in the pen with the rabbits and sit or kneel, and they'll come right up to you to be loved on. We recommend not picking up the bunnies, as they have sharp claws and could scratch if you're not careful. 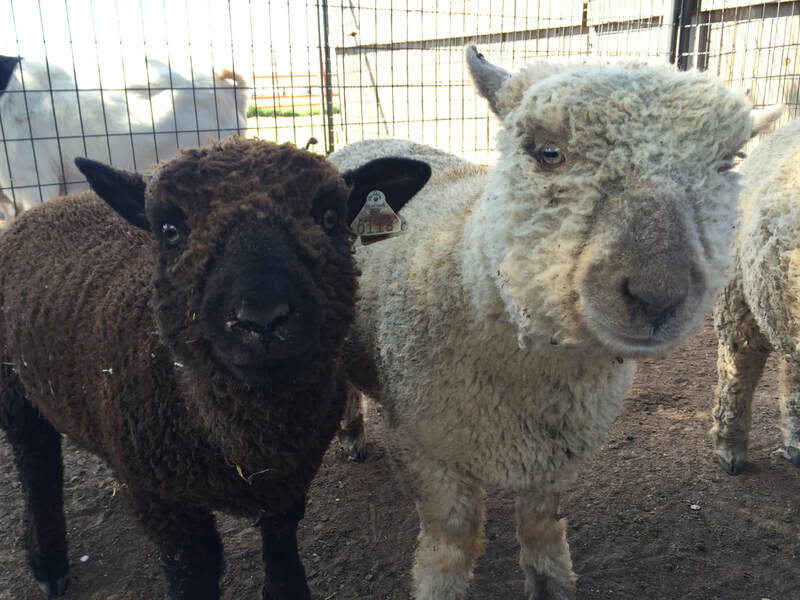 We love how gentle the Southdown Babydoll Sheep are! They have the sweetest nature. Their little mouths curl up as if they're smiling. 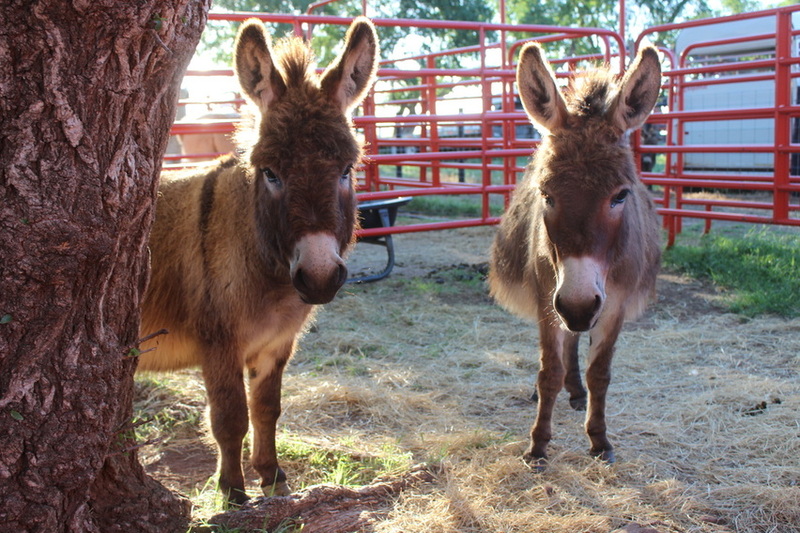 The miniature donkeys were among the first "big animals" at The Menagerie. They have the softest noses and love to be scratched between their ears. Emus are such interesting creatures! They lay a large, green egg and have two feathers to one quill. 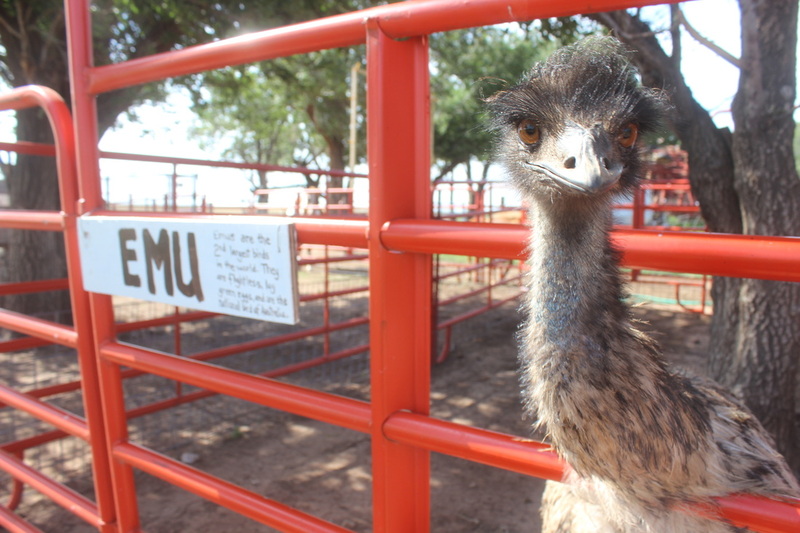 Our emu loves to eat from your cup! Make sure you hold on tight or he'll take the entire cup from your hand. Over the years we've had lots of bottle babies on the farm. We have an entire pen devoted to those now grown babies. They love to communicate with all of our guests! Valentine may even give you a smile! 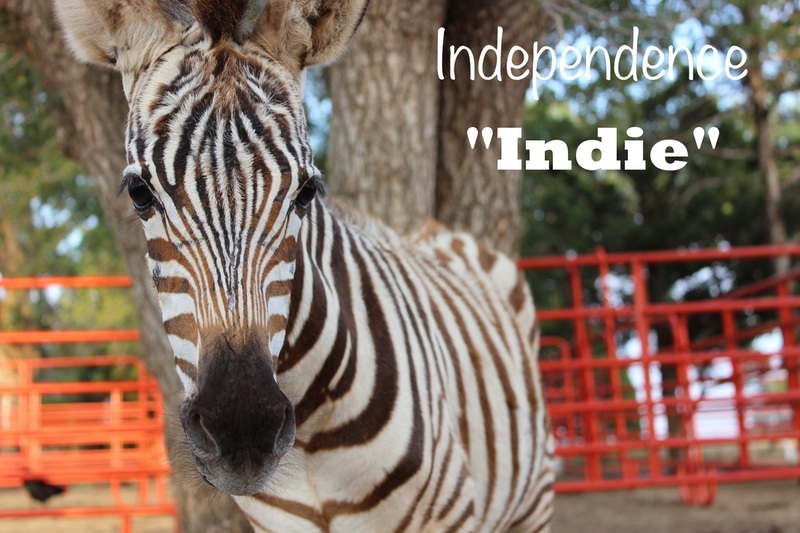 Indie (short for Independence) was born on the fourth of July in 2012. He was our first zebra on the farm, but because he was a stud, we decided to let him be a breeder on someone else's property. He was a bit more ornery than we wanted an animal to be on the petting farm; therefore, seeing him is no longer an option. We love Indie! It was very difficult to let him go. However, on your tour, you will see Indie's friend Autumn, who was born in October 2012. She is a very sweet zebra with a calmer nature who will let you pet her as long as you make gentle movements. As with all of the animals, make sure you feed her with a flat hand. Check our facebook page at www.facebook.com/bradtsmenagerie for our current posts about daily activities and updated schedules.